If movie night is done, and you'd like to use the configured Surround Left and Right Play-Fi speakers as regular multi-room products again, then no problem! 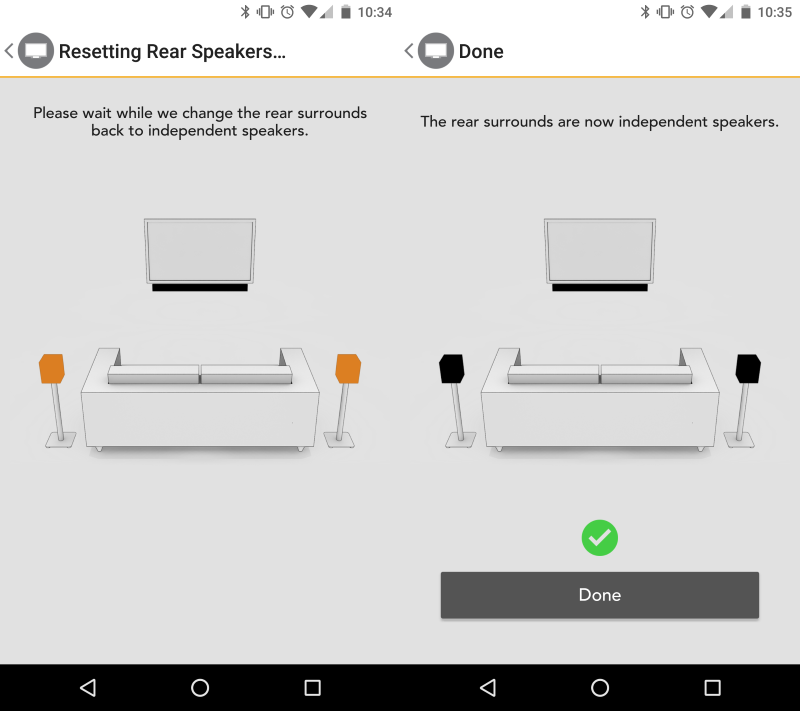 Before moving the speakers, go back to the Surround Sound option in Settings. 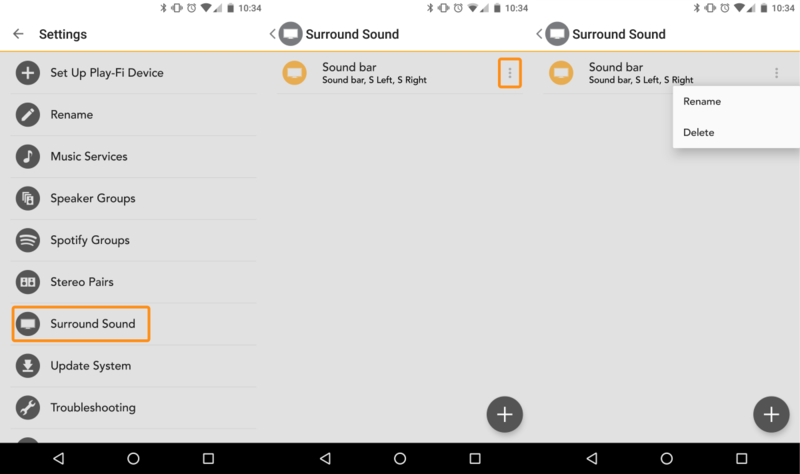 Now you'll see your configured Play-Fi Surround group(s) in the list, and tapping on the Options button to the right of it, will open the Options pop-up. Selecting Delete will inititate the deletion process. The app handles the whole thing for you. No need to manually set up any speakers again. After the app gives the all-clear, you're free to use the Play-Fi speakers again or move them to another location in the house, where they will automatically connect to the home network if in range.